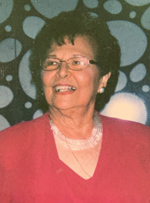 Evelyn Felsenfeld, 89, of West Bloomfield, Michigan, died on 02 February 2029. The Funeral was held at IRA KAUFMAN CHAPEL on Sunday, 03 February 2019 at 2:30 PM . Rabbi Michael Moskowitz and Cantor Penny Steyer officiated.